If a shop isn’t on your radar, we don’t blame you for being hesitant. With all of the options we have at our fingertips, it comes as no surprise that some people haven’t tried out maurices. However – and this a big “however” – we have, and we are here to tell you what we love about it. There’s a “wear it and share it” feature. Head onto maurices’ #discovermaurices page to see how people just like you are wearing maurices, mixing looks up with pieces already on their radar. After checking out Instagram to see how some “real” people are putting together ensembles, head back over to mirror some of your favorite (and most successful) styles. We love the age range represented on Instagram, too. The must-stop section, in our opinion, has to be the sale shoes. If you start browsing, you’ll know exactly what we mean: sandals are an incredible $5, booties around $20… but you have to move quickly. If you don’t, you may not find a size that works. If you happen to have tiny feet, however, you are in luck – a lot of the shoes are available in itty-bitty sizes. Use the “featured collections” section to streamline your shopping experience. We found some of the cutest things when we did that, including a confetti multicolor pom-pom hat, baseball tees with a touch of girly flair, moccasins, duffles, and more. Instead of browsing section-by-section, consider the collections to get inspired more easily. The going-out collection is great when you want to find inexpensive, fun styles that don’t disappoint. The mesh-front tanks were some of our favorites! Maurices is perfect for plus sizes. The sizes go from 0 to 3, and are often the same designs as the average sizes, so you don’t have to compromise on style. We loved the large number of cool vests, for example, that are hard to find otherwise. 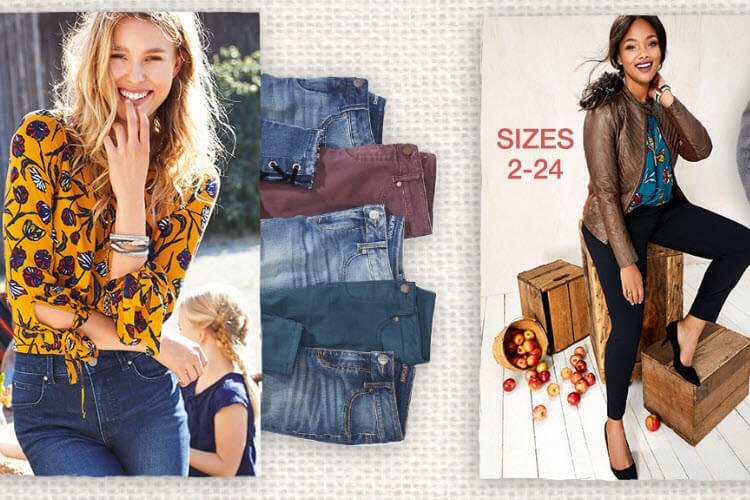 The other great part about maurices for plus sizes is you can find skinny jeans and jeggings in sizes up to 24. We love the variety of colors as well! The BOGOs are fantastic. Where else are you going to get a “Buy One, Get 75% Off” deal? We think the BOGOs are perfect for buying your favorite pieces in multiple colors. Whether you are looking at floaty chiffon tops or leggings galore, this is a deal that always works. They have tons of yoga styles, and in extended sizes. 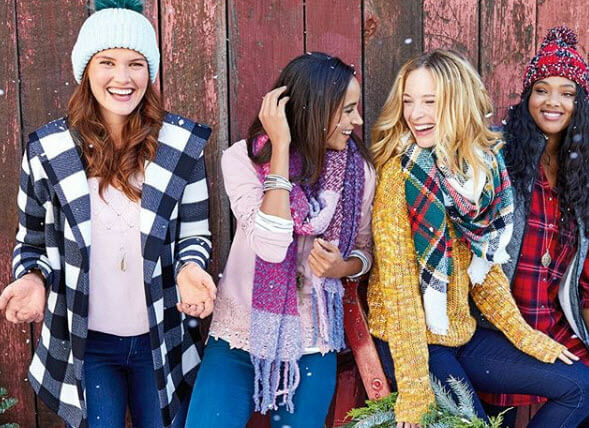 Maurices is all-inclusive, which means that the gym items, like sports bras and leggings, come in extended colors and tons of designs. From mesh looks to printed styles, maurices’ yoga leggings deliver!